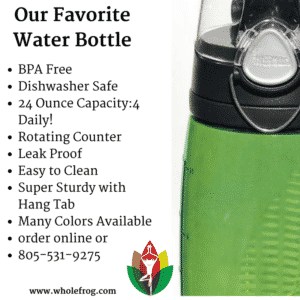 Water is vital to every function of the body, and few people drink enough. Most of us think that drinking tea, diet coke and coffee counts for our daily water, but these drinks require more water than they contain for metabolism. Our Life Coach and Wellness Expert has some quick tips to get you started on your water habit! Water is essential for chemical reactions in the body and for energy production. Drinking a glass of water provides an environment for the transmission of brain waves, the efficient function of proteins and enzymes, and it is an important component of each cell membrane. It is the cell membrane that prevents toxins from entering the cell and damaging the cellular structure. Thus, water is anti-aging and just as essential as oil is to your car engine. Water plays a vital role in digestion. The pancreas requires water to produce its neutralizing solution, which allows the stomach to dump its acidic contents into the small intestine without causing damage. Water encourages the production of a hormone that produces proper contractions of the intestine. 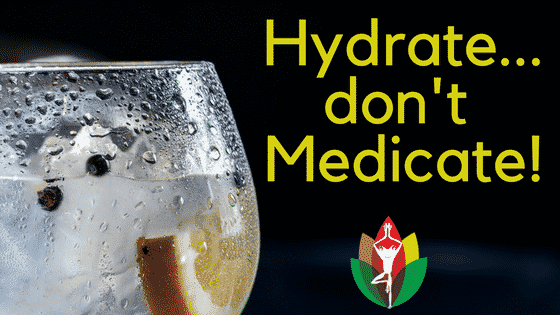 Living in a fully hydrated state can enable us to avoid or improve many common ailments such as allergies, asthma, neck and back pain, joint pain and arthritis, hypertension, high blood cholesterol, fuzzy thinking and weight gain. 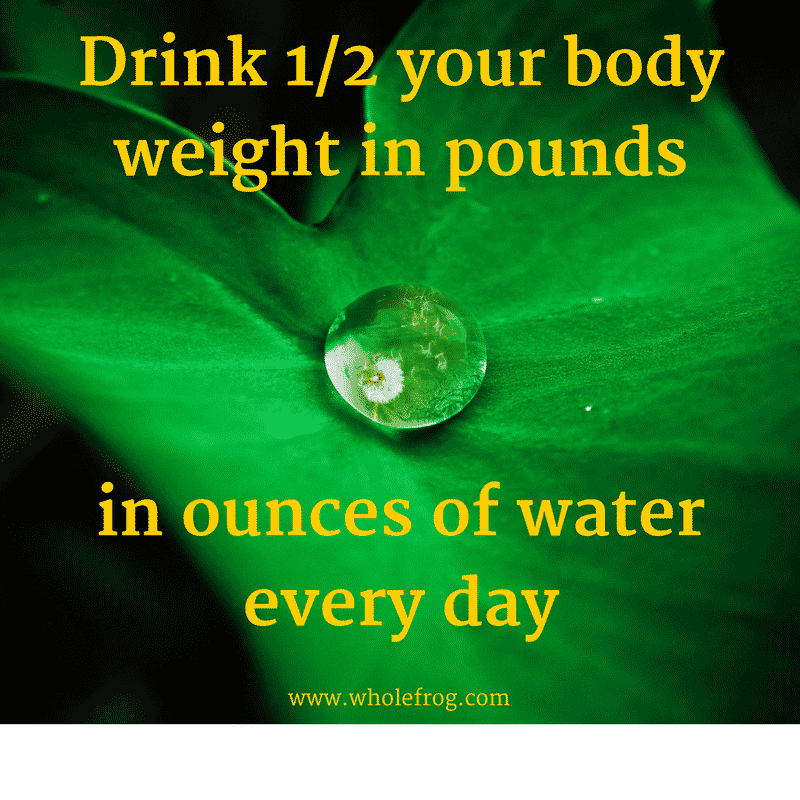 Drink an amount of water in ounces equal to half your body weight, at a minimum. 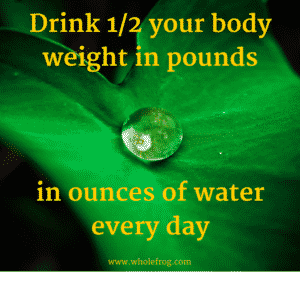 For example, a person weighing 150 pounds should drink 75 ounces of water, or 9-10 eight-ounce glasses per day. Add 1 more cup water for exercise and for each cup of tea, coffee, alcoholic beverage or soda. Add more if you have been eating sugar. Drinking bottled water is costing you $1,400 a year! The same amount of water from the tap equals about $.49 per year. 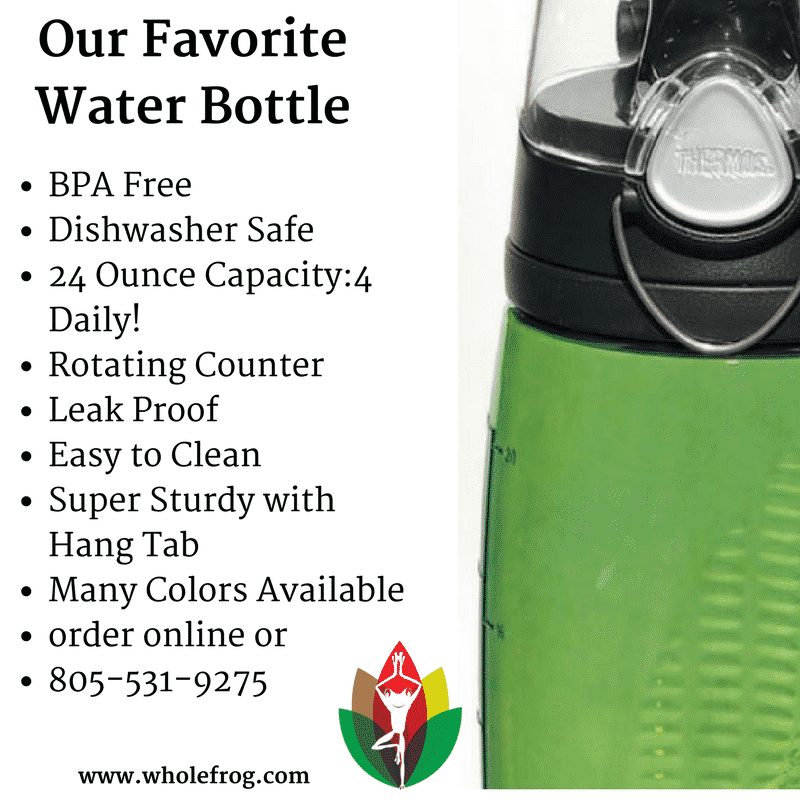 Get yourself a good BPA free bottle, or purchase our favorite bottle here. Looking for more help with your wellness goals? Book a free consultation with our R.N. Consultations can be done over the phone or in our clinics in Westlake Village, CA or Moorpark, CA – book here.